By now, you’ve probably heard news of Hewlett-Packard discontinuing their line of webOS devices and “spinning off” their PC business; the discontinuation of the webOS-based TouchPad has left retailers with thousands of units which are now being sold for as cheap as $99. You may want to get your own $99 TouchPad too, as a group of developers have announced the TouchDroid project which aims to bring Android to the TouchPad. The news comes directly from RootzWiki – a forum for Android development – where the project was announced by trsohmers. Being worked on by four members, TouchDroid is a project, as we mentioned before, which will attempt bringing Android to HP’s TouchPad. The first objective of the project is to simply get Android to boot; this will be a vanilla copy of Android 2.3 “Gingerbread” instead of Android 3.x “Honeycomb” as Google hasn’t open-sourced Honeycomb yet. 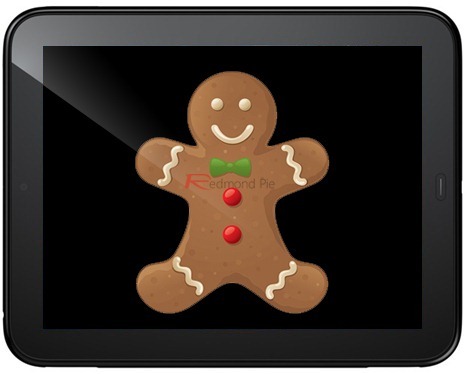 Once Android 2.3 “Gingerbread” has been booted into, the developers will shift to a CyanogenMod 7 base to help speed up development. We are attempting to port Android to the HP Touchpad, which was originally shipped with webOS. The TouchPad packs a dual-core Qualcomm Snapdragon S3 CPU clocked at 1.2GHz, Adreno 220 graphics, 1GB RAM along with 16/32GB storage capacity and 1.3MP front-facing camera. Thanks to the TouchPad’s Android-friendly hardware, we reckon the porting shouldn’t take too much time. The announcement states that if Android 4.0 “Ice Cream Sandwich” is released soon enough, development will begin on bringing it to the TouchPad. What this means is, if everything goes smoothly, then the HP TouchPad may just be cheapest and fastest Android tablet yet! Still, there are lots of things that can go wrong. We wish the TouchDroid team all the best for their ambitious project! In other TouchPad-related news, there was a report published by The Next Web, HP actually tested webOS 3.x on the iPad and it was found that it actually performed better than on the TouchPad itself. This seems a bit unlikely to us, as, on paper, Qualcomm’s dual-core Snapdragon S3 combined with Adreno 220 graphics seem as technically fast as Apple’s A5 SoC which is used in the iPad 2. It is a fact, though: the TouchPad didn’t really offer the smoothest user-experience for a tablet. If you followed the reviews of the TouchPad, then you’ll know what I’m talking about. Have you bought a TouchPad yet?